Lately, doctors are often portrayed as uncaring, greedy people who prefer to spend 7 minutes with patients and are rolling in dough. Nothing is further from the truth. Doctors are working harder than ever, seeing more patients to try to make ends meet. The insurance company’s regulations are so complicated and cumbersome, doctors have to hire billers and coders to keep up with the busy work that they require. This costs more money and time so the doctor’s are making less and less money which makes them have to see more and more patients to make up the difference. Many doctor’s offices are closing their doors because insurance is not reimbursing them enough to keep the lights on and pay their staff. Haven’t you heard recently of a local doctor’s office doing just this? Staff are being let go and billing and coding jobs are being sent overseas. Doctors are retiring early and quitting before they planned because of how burned out they are. Doctors are committing suicide at alarming rates. Dr. Pamela Wible has done some tremendous work on the subject of physician burnout. Please see her blog HERE. Direct Primary Care is a new practice model which allows doctors and patients to have a relationship which does not involve insurance companies. Your doctor is employed by YOU. In this alternative payment model, patients pay a monthly membership fee and the doctors provide the professional service. They have a direct relationship with their doctor! We can spend MUCH MORE TIME with each patient. Included in the monthly fee, patients have easy access to the physician via phone, email, video chat and in-person visits. There are no co-pays or additional fees for procedures! Many in offices tests are included free with membership. Labs and radiology are offered at deep discounts, up to 95% discount from insurance based prices. In addition to providing accessible, quality health care, Direct Primary Care offices often have medication dispensaries on site which sell medications at wholesale prices. Medications are purchased in bulk and dispensed at wholesale prices to our patients. 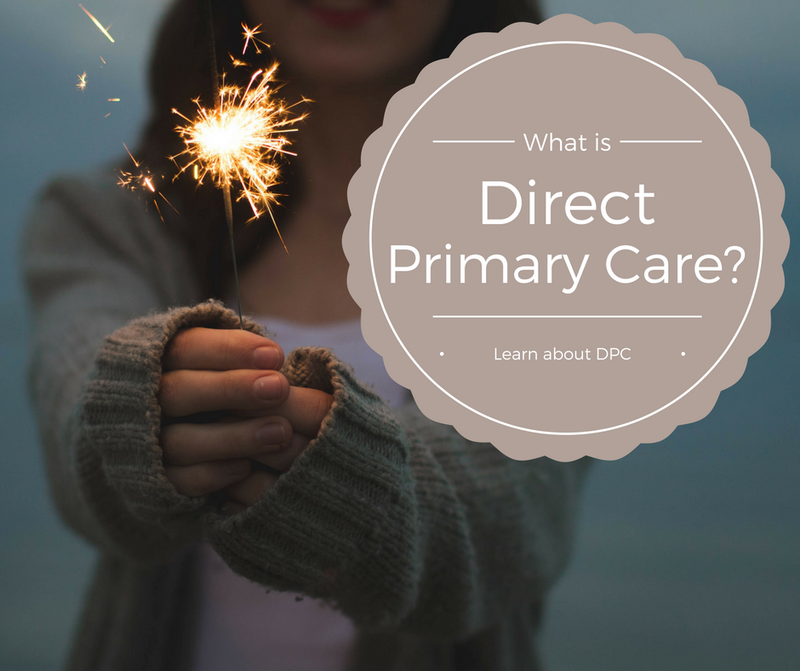 DPC takes out the middle man, cuts through the layers of complexity and provides good, old-fashioned customer service just like in the golden years of family medicine. EASY ACCESS TO THE DOCTOR WITH EMAIL, PHONE, AND VIDEO CHAT - DID YOU HEAR THAT? YOU CAN EMAIL WITH YOUR DOCTOR DIRECTLY! This article was authored and shared by Kimberly Nalda, MD of Rekindle Family Medicine. If you have family in Wilmington, Delaware, send them her way!